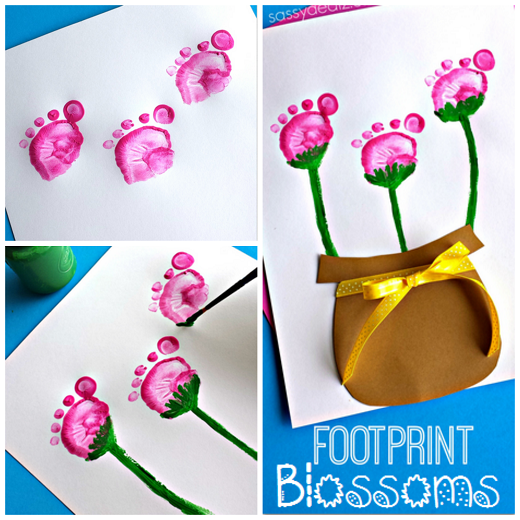 In honor of Spring, paint your kids feet to make beautiful footprint flowers! 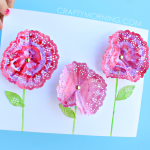 This is an adorable craft that is also perfect for a homemade Mother’s Day card! Wouldn’t a mother or grandmother love getting this? 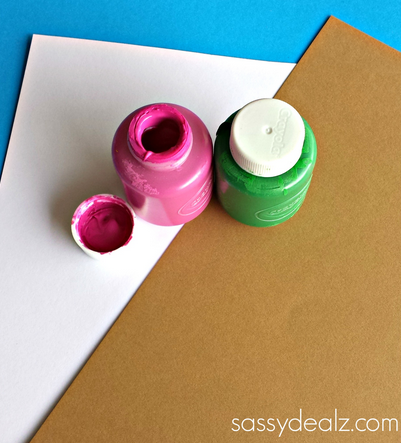 You will need pink/green paint, a paintbrush, a foot, brown paper, scissors, glue, and yellow ribbon. 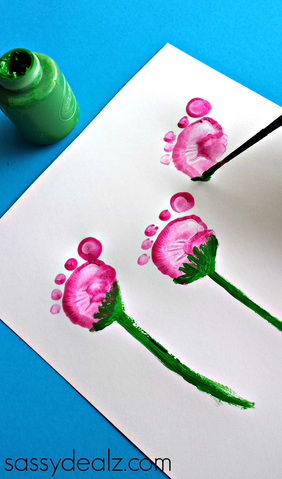 Start by painting the child’s ball of their foot including their toes and having them step on a piece of white paper. 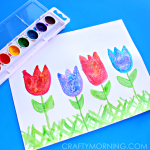 Take a little paintbrush and make green stems. 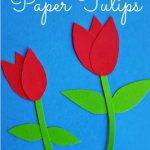 Cut out a flower pot with the brown construction paper and glue it where the stems end. Glue on a pretty yellow polka-dot ribbon for the finishing touch! 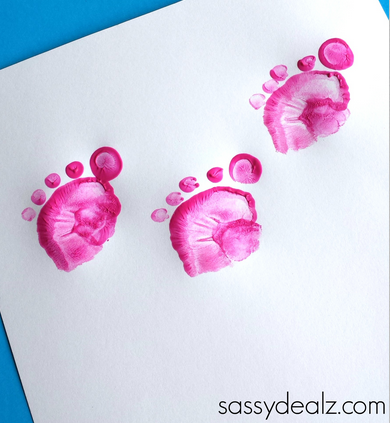 If you liked this one, check out my other Mother’s Day cards & footprint crafts for kids! This post may contain affiliate links, read our Disclosure Policy for more information. 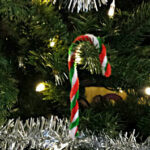 Related Posts to Check Out! This is a really cute post. 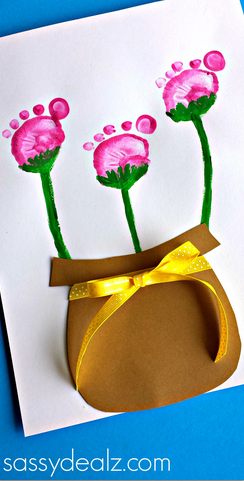 I love how you have used the feet for the petals. Thank you for sharing. 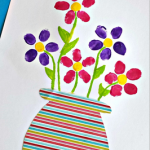 Welcome to Crafty Morning...I'm so happy you're here! 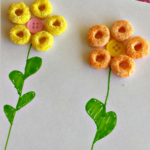 I'm Michelle; a 20-something, crafty mom who loves to keep busy! You can read more about me, or contact me here!